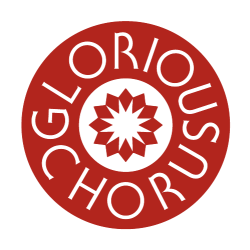 Glorious Chorus - acclaimed a capella choir led by Helen Yeomans, original songs with a message, sung with passion and commitment. This beautiful new Christmas CD from Glorious Chorus is a section of studio-recorded tracks from the choir’s festive repertoire. It includes all their favourite Christmas songs (listed below) - a truly heart-warming collection. £1 from every sale is donated to the Totnes Homeless Drop-In Shelter. Simply click the appropriate button above to securely purchase your CD(s) using our PayPal facility. UK delivery is within 4 days, the rest of Europe 1 week. Rest of the World delivery time depends on destination, but we will of course take care to expedite your order as quickly as possible. Alternatively if you prefer to send cheque or postal order just phone us on 01803 862028 so that we can give you our current mailing address and check the details of your order. Download the Christmas album instead? If you’d rather download the Glorious Chorus Christmas album or individual tracks, click to download from iTunes or Amazon. Copyright © 2018 Helen Yeomans. All Rights Reserved.